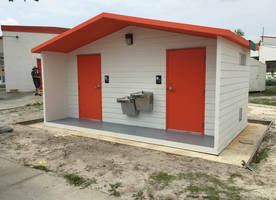 Leesburg Concrete Company, Inc. delivered a precast concrete Carson model flush restroom and two precast concrete dugouts to Volusia County Schools. 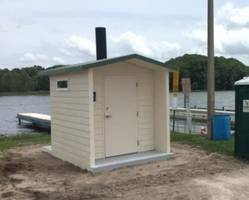 The precast concrete restroom building as well as the 30' x 8' Dugouts have been approved by the Department of Business Professional Regulations (DBPR). 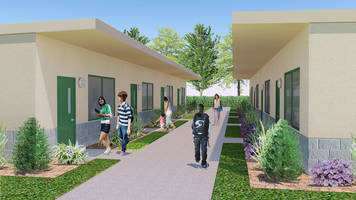 This approval includes State Requirements for Education Facilities (SREF) compliance. Leesburg Concrete is on track to submit additional building plans for approval to include a combination concession/restroom building, classrooms and others buildings designs. "Our buildings are a good solution in many school applications" said Kirk Rouse, Leesburg Concrete V.P., "they are produced in our plant under rigid quality controls, and are third party inspected throughout the production process. 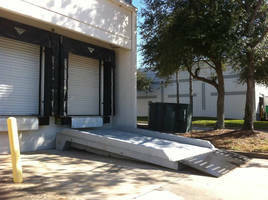 Also, architectural precast concrete offers beauty, safety and durability." LCCI is looking forward to satisfying building needs for other education facilities, agencies and commercial interests. 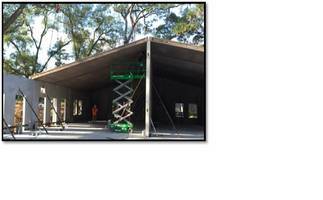 LCCI produces precast concrete in their Leesburg, Florida NPCA certified plant. They specialize in precast concrete and metal fabrication. 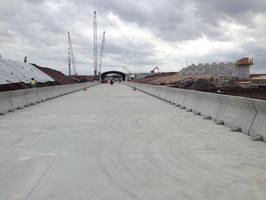 Leesburg Concrete is proud of their continued diversification expansion and success. Family owned and operated since 1983, Leesburg Concrete Company, Incorporated was first a leading manufacturer of precast concrete steps decks, walkways, landings, and ADA compliant modular precast concrete wheelchair ramps, with steel guard rails, and handrails. LCCI has grown to include architectural precast wall panels and precast concrete stairs in its product offerings. LCCI also offers a wide array of custom precast product options. "We Take Pride in exceeding our customer's expectations" stated Kirk Rouse, Vice President of LCCI. This American, family-owned company demonstrates a philosophy of quality and innovation. Leesburg Concrete Company, Incorporated is focused on meeting the needs of commercial building construction and renovation projects. Their experienced staff provides turnkey service, and it only takes one call to find the solution to your building needs. For more information visit their website at www.leesburgconcrete.com, 800-882-4177, or KRouse@leesburgconcrete.com.